In Thailand you can find a huge variety of marine life and underwater scenery. The reefs of the Similan Islands are well known worldwide, while the islands of Phuket, Phi Phi and Koh Tao attract divers and sun seekers alike. But top of most peoples diving wish list is to dive with a whale shark. 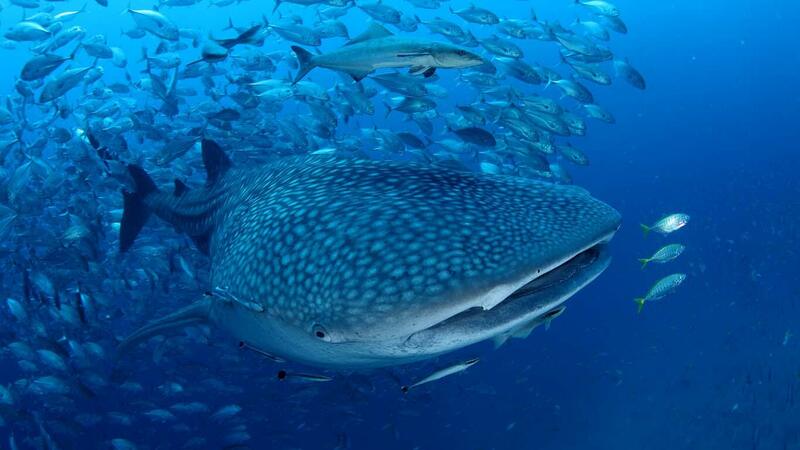 In Thailand, there are several diving locations where the whale shark is seen fairly regularly. The most famous is Richelieu Rock close to the Surin Islands, but keep an eye open wherever you are diving. Hin Daeng has recently been another great spot for large pelagics. Whale sharks are not common, so don’t come and expect to see one, but be very happy if you get lucky! 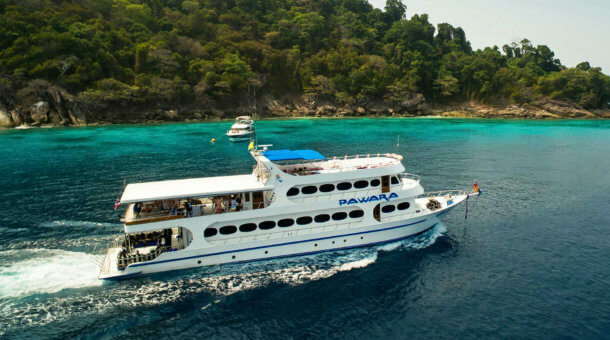 Best chance to see a whaleshark in Thailand is on a liveaboard. There are normally most whale shark sightings in April and during February/March if you’re lucky. 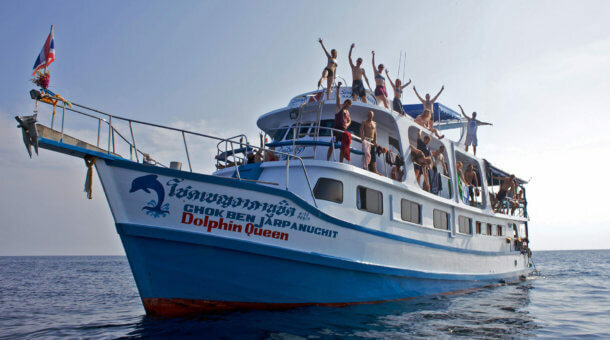 Most of these are at Richelieu Rock, on the schedule of most Similan Islands Liveaboards. Apart from whale sharks, the last few seasons have been very good for Manta Rays. The 2016-17 season saw fewer sightings, though mantas were once again being seen on many trips – most commonly at Koh Bon and Koh Tachai. Please remember, a whaleshark is never guaranteed! 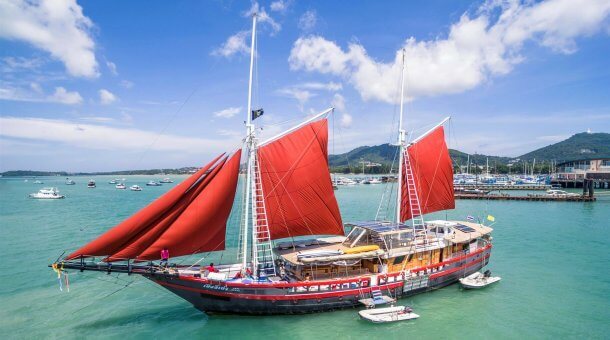 Liveaboards run from mid October to early May. The last few years more sightings seemed to occur later in our high season – late April and into May and even into the low season months of June and July. Whale shark sightings can occur just about anywhere, but these gentle giants are rare animals. The best spots for encounters are Richelieu Rock and Hin Daeng, as well as Chumphon Pinnacle in the Gulf of Thailand. Sightings were decreasing slightly from 1998, but the last few seasons have been pretty good, with occasional sightings even at Phuket dive sites such as Shark Point and Koh Doc Mai. The Whale shark (Rhincodon Typus) is the largest fish in the world, growing up to 12m (40 feet) in length. Despite their size, they are harmless, feeding on plankton and small fish which are filtered from the water as they cruise the world’s oceans. Whale sharks are found in warm waters worldwide including Australia, Mexico, Honduras, Hawaii and Thailand. In these countries, the giant sharks are regarded with the respect they deserve and many a diver has been awed by their silent presence. Unfortunately, in some other countries such as India and the Philippines, the whale shark is often hunted for meat which is sold to feed the rich mouths of Taiwan and China, where whale shark meat is an expensive delicacy. Numbers have certainly been reduced, but with the migratory habits of the sharks, it is very difficult to track and count them. There was some progress when the CITES conference of 2002 placed the whale shark and the basking shark on a list of species to be considered under threat. This does not yet mean a ban on fishing but was an important first step. Hopefully divers in the future will see the benefit! 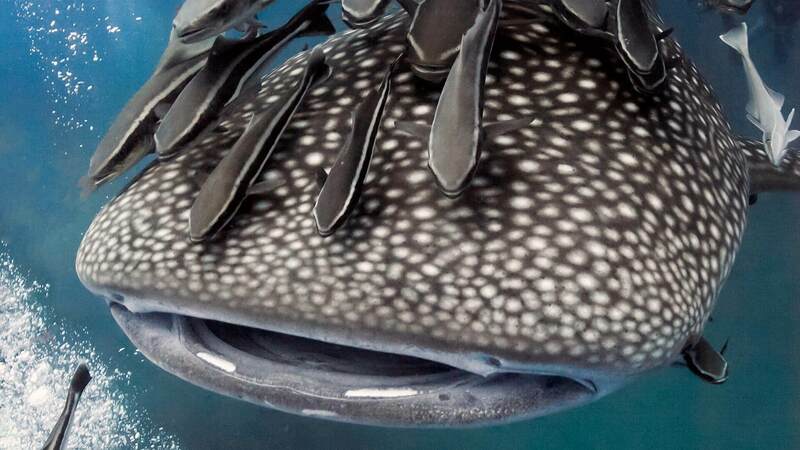 There were so many whaleshark encounters the last couple of seasons right through the seasons from 2013 – 2018. 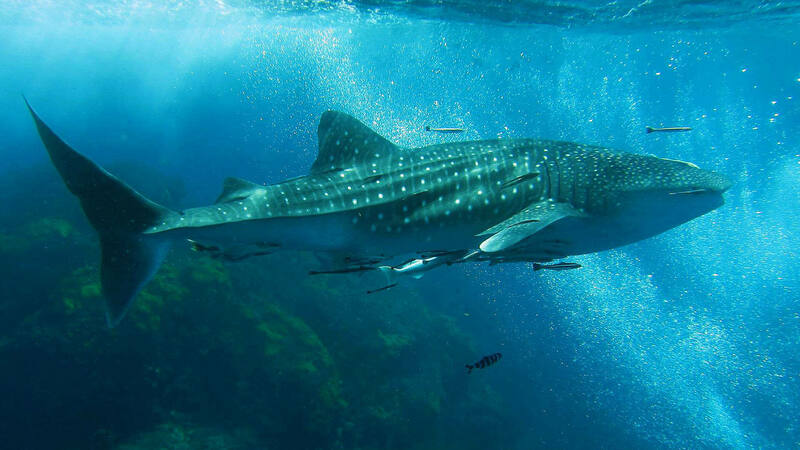 The best sites to find whalesharks have been at Richelieu Rock and Koh Tachai. But there have also been sightings at Hin Daeng, and even at local dive sites around Phuket and Phi Phi. Lots of lucky divers these last few years on liveaboard trips! 2017 was a little quieter. There have been a lot of manta rays, but whaleshark sightings through to the end of last season (May 2017) were more limited. Now in 2018 we have been blessed with many whaleshark sightings, especially towards the end of the season (March – May 2018). If you are lucky enough to encounter one of these gentle giants, it is an experience you will never forget, and a little excitement is understandable, but please resist the temptation to touch or ride a whale shark. Passive interaction with all marine life is healthier for the animals and will not alarm them. Just keep watching, and often the curious whale shark will come close to you. Contact us for diving in Thailand and if you are lucky you’ll have the whaleshark experience! Please do note – we have no “swim with whaleshark” trips or anything like that. 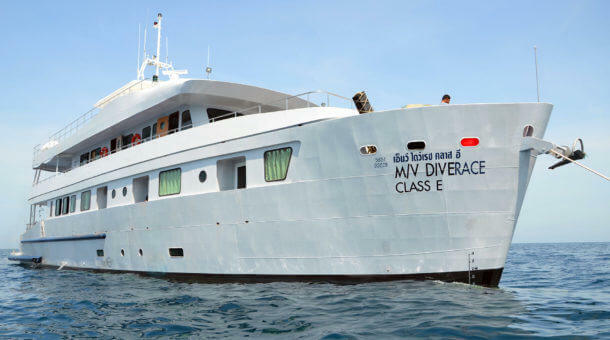 Best chance of seeing whalesharks is on a liveaboard to the Similan islands and Richelieu Rock. Hope to see you here!